My name is Heather Haukioja and I started riding at Bayview Equestrian Centre when I was 8 and have been there for over 9 years now and could not picture myself riding anywhere else. I have improved and grown so much as a rider and have had many amazing experiences at the barn. Not only do I have an awesome time with the horses, I have also made friendships at the barn that will last a life time! The people at Bayview are like one huge family and I consider the barn my second home. We have numerous barn outings like going barrel racing, bon fires, dinners, skiing and many more! The staff that work at Bayview are very knowledgeable, friendly and always happy to help. The facility is on an absolutely beautiful property with lots of trails. 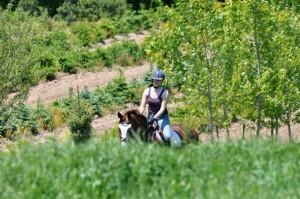 The barn has something to offer for everyone such as lessons, boarding, camps and also shows. Jennie Smith, who coaches me, is a huge role model to me and I would not have gotten to where I am without her. Jennie and all the coaches at Bayview go out of their way to make sure you are happy and are progressing as a rider. They truly have your best interest at heart. Bayview Equestrian Centre is amazing and I am very happy to be a part of it! I have known the Tracz family for 30 yrs and have been a boarder at Bayview Equestrian Centre for 10 years. I cannot say enough about the wonderful care my horse is given. The feed program is excellent and geared toward the individual. The grooms are kind and attentive. They notice small cuts and snifflie noses before I do. The grounds are great with miles of hacking. The owner, Phil, is constantly making improvements to everything from the barn, to the arena and to even building cross country fences. No where else have I been in a stable that is A circuit quality with a down to earth-family-friendly attitude. Everyone cheers and supports each other. I don’t plan on leaving anytime soon. My healthy and happy mare seconds that. I just wanted to say thank you for letting Victoria hang out at the barn so much. It really has been great. 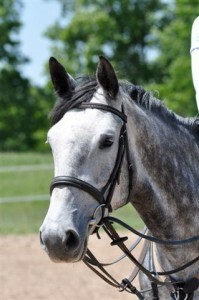 She is one of 8 children, riding, and the barn has become her thing, her place to be without her siblings and to shine. She loves it there so much and it has really boosted her self esteem. As a mom it has been so great to watch her pour all of her time into the barn and riding rather than wanting to hang out at the mall or partaking in some of the not so nice things that teens do. You all have become like extended family to Victoria, and for our family this is a really hard time and you have made things so much easier. So thank you for having amazing teachers, staff, facilities, and just for being flexible and understanding. © 2019 Bayview Equestrian Centre. All Rights Reserved.